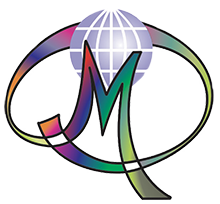 We are an inter-cultural Fraternity formed by Laity and Brothers, having the clear intention of being a significant presence. We are present in East Harlem sharing life and mission. In the present community we are: Br. 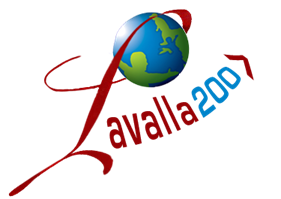 Luis Vega who participated in the first program of formation of the program LaValla200>, in 2016, and Br. James McKnigth and Martha Eugenia Martinez, of the second program, in 2017. We have felt guided by the Spirit and we learn to live our richness and our weaknesses. Our organization as a community is very simple: by turns we animate the prayer, we cook; each one carries on some tasks in the mission and in the organization of our house. We respect differences and we have personal and community spaces. It has not been easy to discern what the Lord wanted from our presence here and to know to which needs we wanted to respond. In this zone of Harlem there are many institutions which work with Latin migrants. We decided to approach other institutions and Parishes to learn from their experience and to know reality from a different perspective. We are known as Community Juan Diego. 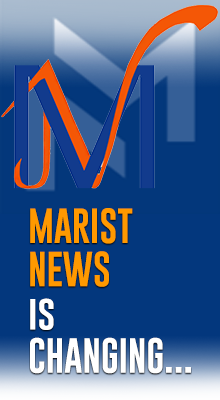 This is a project which the Diocese of New York has entrusted to the Marists in East Harlem and now it is up to us to give it faces and names and make this Project something new, to be the merciful face of the Lord. The objective of the Project Community Juan Diego is to offer a secure and welcoming environment for all persons who desire to strengthen their life of Faith and of Values. 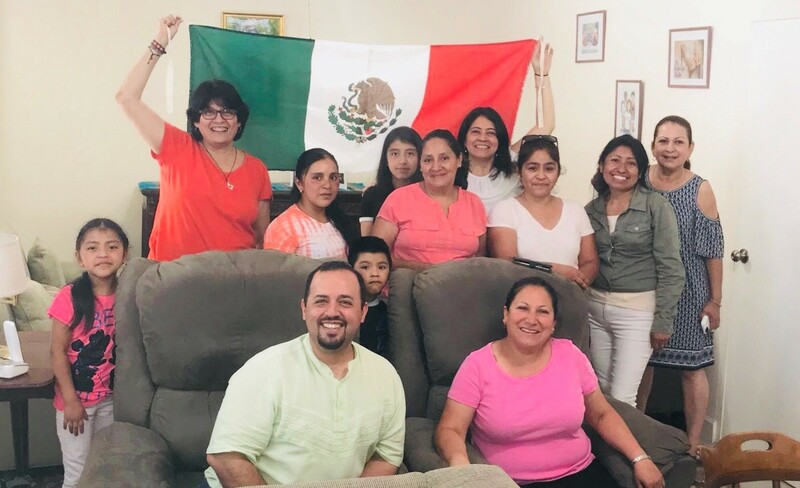 This project is directed especially to the Latin migrants who live in New York and through encounters we help them to consolidate a family spirit. This is the spirit which we have been living in the community for over a year. We take inspiration from the Virgin of Guadalupe, and just like at one time, Juan Diego before her, his Mother, felt welcomed, accepted in her arms, knowing that he was loved, in the community we receive with open doors and open arms all those who arrive here. Anybody, like me could ask: “On this Great Block a Mission?” Yes, here also we are walking with the people, and with the children and young people who are the marginalized of life. 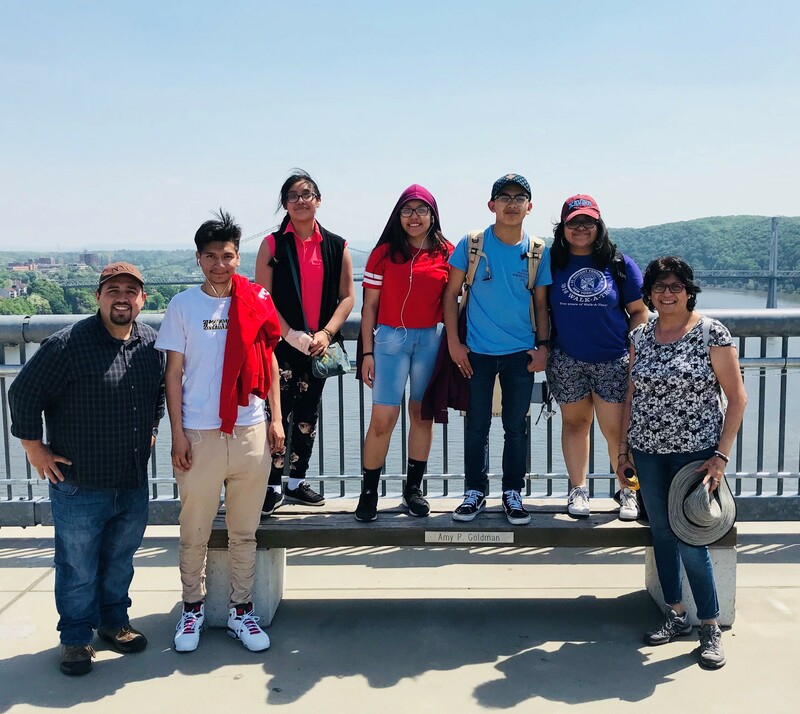 We Marists support this Project in East Harlem, stressing the growth in spirituality and the accompaniment in the development of skills and qualifications at any stage in life: boys and girls, young people and adults with their families are invited today to integrate the Community Juan Diego. Our dream is to offer them a simple and warm spirit in this large city of New York, where everybody, all, men and women, but especially where the women can feel welcomed with their partner and children. It is through the global family spirit, simplicity, the presence and closeness that we intend being, a home of light and of hope. We want to share with you what we are doing to respond to the emerging needs in New York. Every encounter in the Marist House and in the Project Community Juan Diego is an occasion to grow in spirituality. Every Friday we celebrate Faith in community, and then we share a cup of coffee, which becomes a special time to share life. The Latin traditions are marked by feasts, and together we celebrate the more important ones for our cultures. We create moments to feel that we are listened to. We have participated with young people from East Harlem during two consecutive years in the Marist Youth Encounter. With this experience we got the idea to open a space, a place for the formation of leaders, where the young people will have the opportunity to grow in community by means of the Marist charism. The group is formed by young people from different schools and Parishes. Step by step, every week twelve children and adolescents meet in the Marist House. It is a magic, amusing time; they come to learn to play the guitar. The majority of them are the children of the ladies who come every Friday to the community prayer. A completely new Project which we hope will come to light in September 2018, is literacy, to teach people to read and write, with a Primary and Secondary School , with the support from the Mexican Consulate and of the National Institute for the Education of Adults. We will open a Community Place for the persons who desire to begin and for those who want to finish their last school stage. It is a free of charge service for all inhabitants of Hispanic nationality. The English classes are a tool which we offer so that their integration in the life of the city will be more complete. We count with a Team of volunteer teachers. 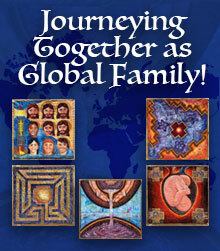 We also collaborate in two close-by Parishes, accompanying the Hispanic catechumens. Every week a group of ladies comes to our House to deepen the Word of God. We also collaborate with Caritas which promotes handicrafts, hand crafts, and the formation of a group of ladies. .
An emerging situation is the one lived by the children separated from their mothers. There are three places that keep these children waiting to be united again with their mothers. One of us will have the opportunity to represent the Marists as a volunteer in a house which receives these children in New York. As you can see, our mission is getting its face and we are grateful to all those persons who have trusted us and have accepted us. The bonds of friendship do not keep us waiting. Now, with great illusion we are waiting for the two new members who have been sent to East Harlem. I am sure that together we will continue to build bridges.